Length of Trail: StageCoach Trails is located next to 600,000 acres of Anza Borrego Desert State Park with access to 500 miles of trails. 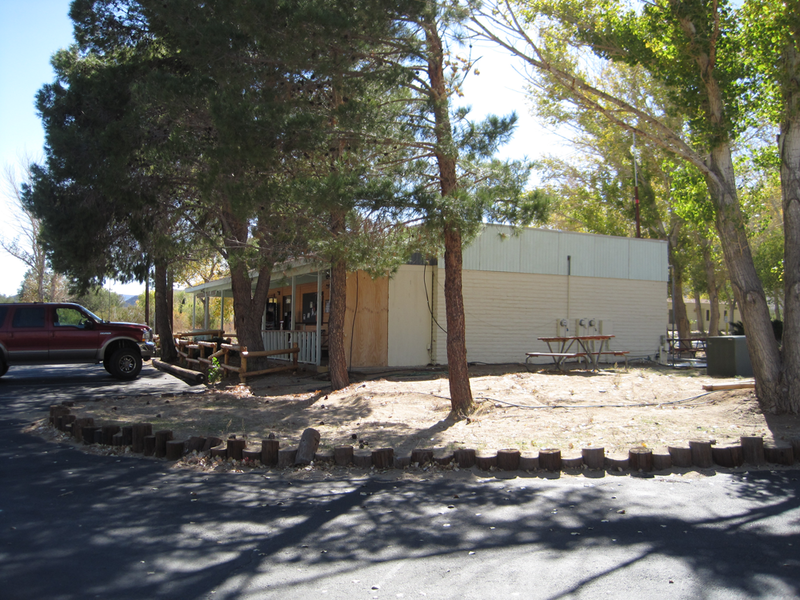 Equestrian Camp Ground: There are 40 horse corrals for a nightly fee. You can tent camp close to your horses. Alternatively, there are full campsite hookups. There is access to water. There are also two riding arenas. 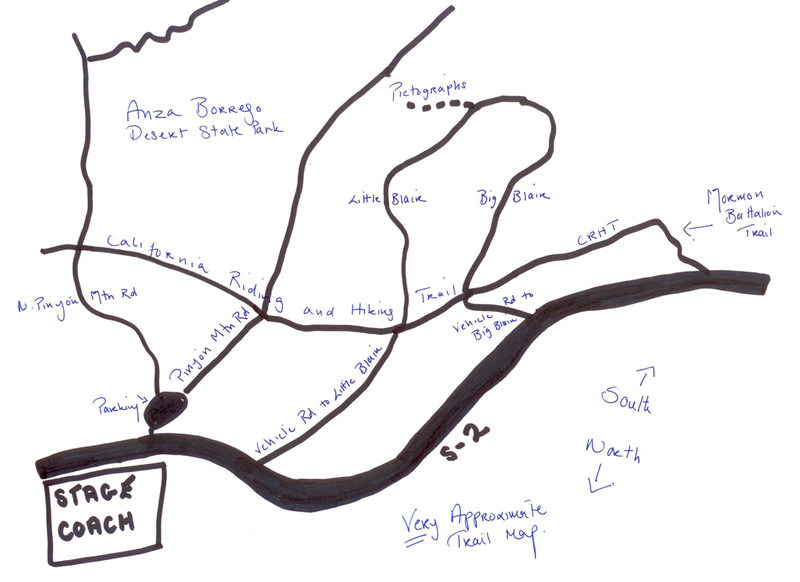 Trail Conditions: See the handwritten trail map on this page. There are a number of good trails from StageCoach that are easy to moderate, with soft sandy footing. The Big Blair and Little Blair loop passes close to the pictographs although you cannot access the pictographs on horseback. General Trail Info: Check out the website: www.stagecoachtrails.com. 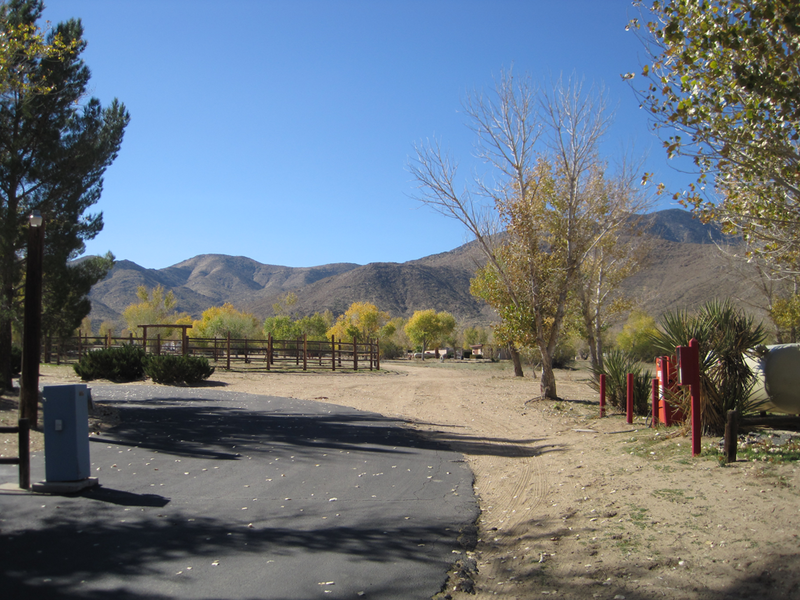 This campsite is located in the high desert, Shelter Valley, 16 miles southeast of Julian and 44 miles north of Highway 8 at Ocotillo. The temperatures are 10-15 degrees cooler than the ‘desert forecast’ and about 10 degrees warmer than Julian’s forecast. This is a well established campground. There are showers and clean restrooms. There is also a pool, laundry facilities, Wi-Fi, a general store, a clubhouse and laundry facilities.